1. Establishing if Darth Maul and Asajj Ventress survive. We don’t need to know where they’re going, but that they’re available would be good to know. 2. The nature of the Force. Yoda is dealing with this; contacted by Qui-Gonn and apparently a reason for him choosing Dagobah as his place of exile will very much be established (traveling to the SITH HOMEWORLD?????). There’s also the issues brought up in the “Mortis” storyline that were very much left at a place where they needed revisiting at a later date. 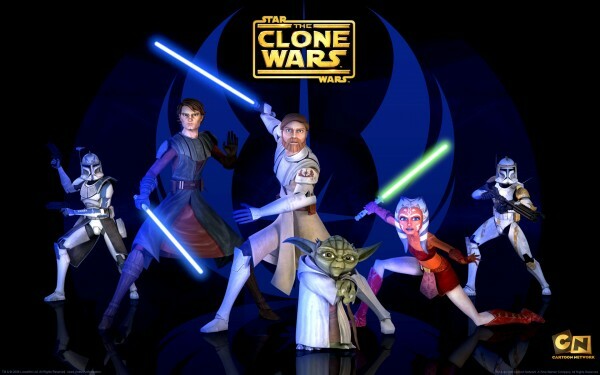 In these eagerly anticipated episodes of “Star Wars: The Clone Wars,” some of the deepest mysteries of the conflict between the light and the dark sides of the Force are revealed. An intrepid clone trooper discovers a shocking secret, Anakin Skywalker’s closest relationship is tested to its limits and what Master Yoda discovers while investigating the disappearance of a Jedi could forever change the balance of power in the galaxy. I love the time of the prequels. I love the look of the prequels. I love it more than I love the OT era and design. And Lucas is the one who gave it to us. The problem with the PT boils down to Lucas not showing the parts of the history that most people wanted to see. But the history itself is incredible, and Clone Wars makes that abundantly clear.